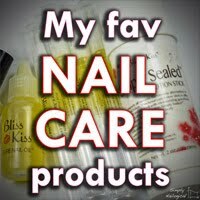 Hello, fellow Nailistas. I've got a quick post to share with you today featuring Con Artist from Nvr Enuff. 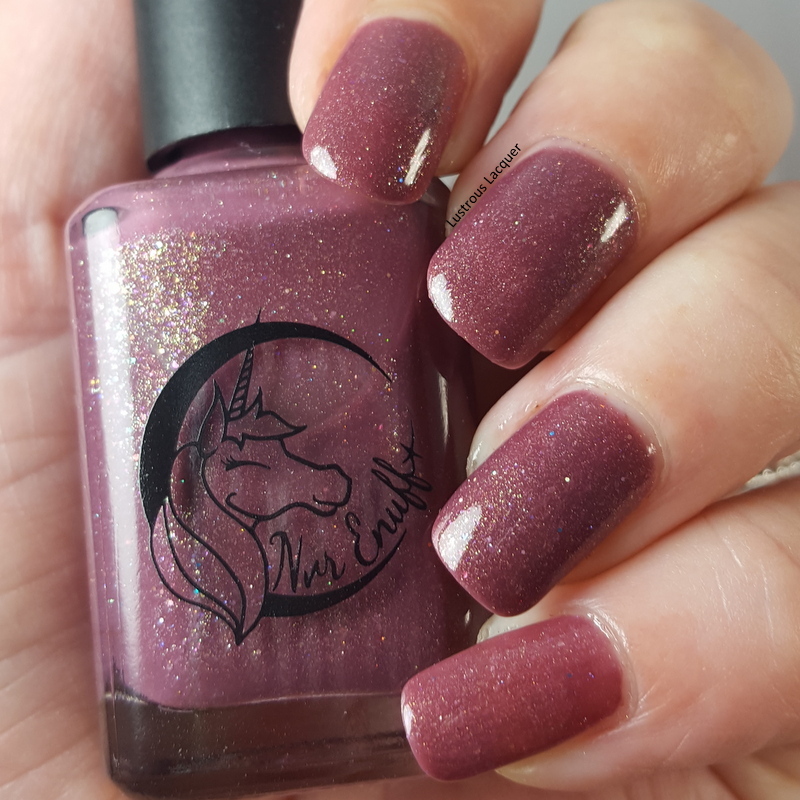 I received Con Artist in my V.I.P bag from Polishcon Chicago last fall. I'm a bit ashamed to say that I wore this back at the beginning of October and am just getting around to blogging it now. In my defense, it's a great polish for fall or winter so I'm still seasonally appropriate right? 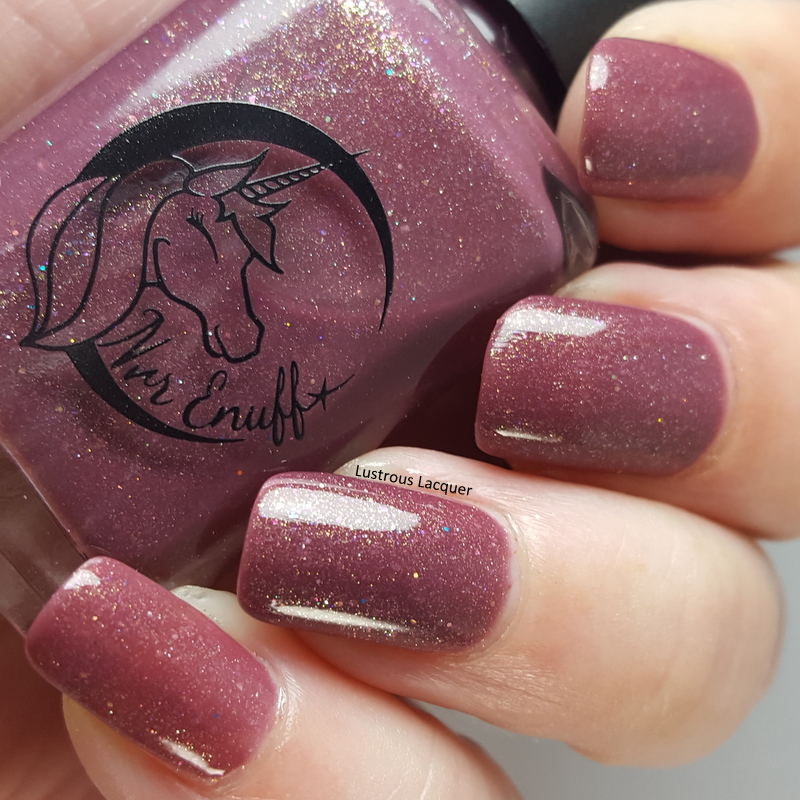 Con Artist is a dusty mauve nail polish with iridescent glass flecks and a smattering of gold micro glitter. I get a warm cozy feeling just looking at it. 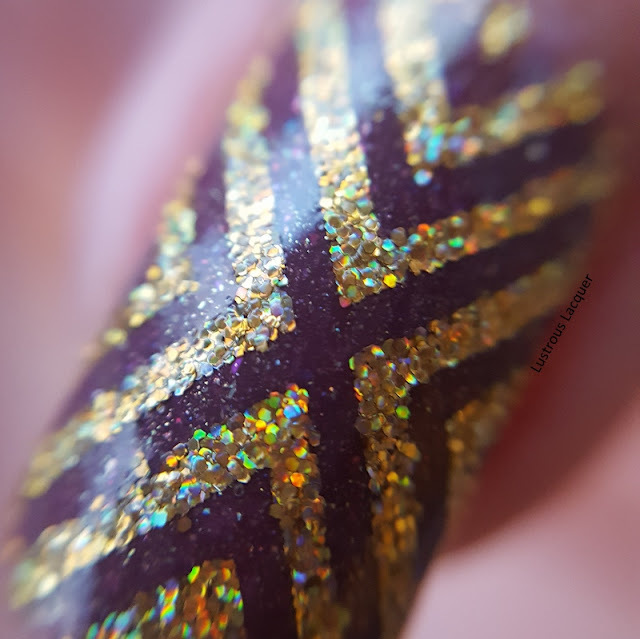 The application was smooth and even with tons of glitter in each coat. Two easy coats are all you need to reach full opacity. Shown here is two coats plus a glossy top coat. 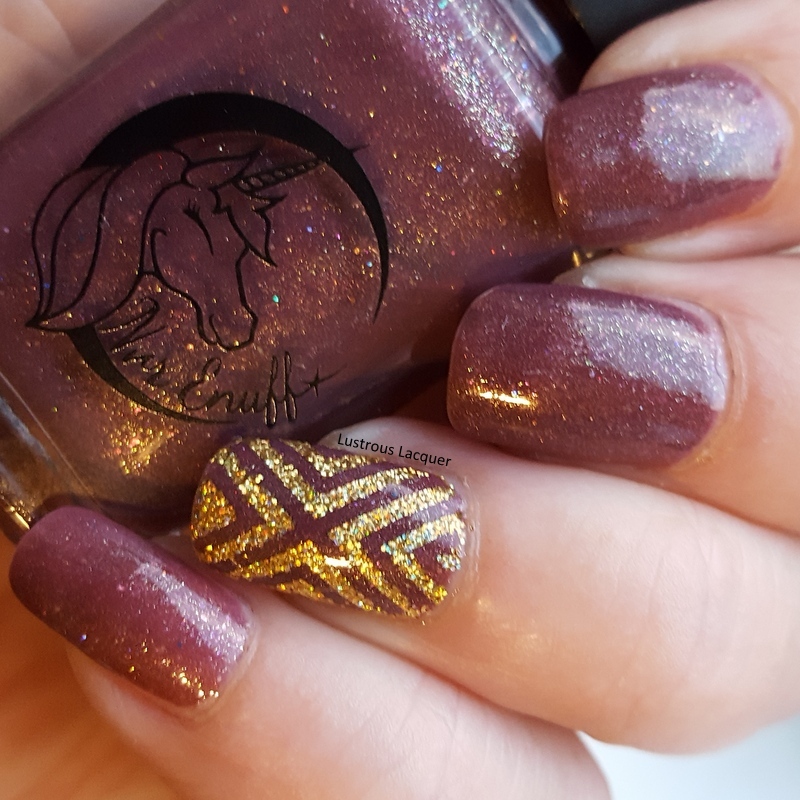 After wearing this for a few days I decided to add an accent nail. 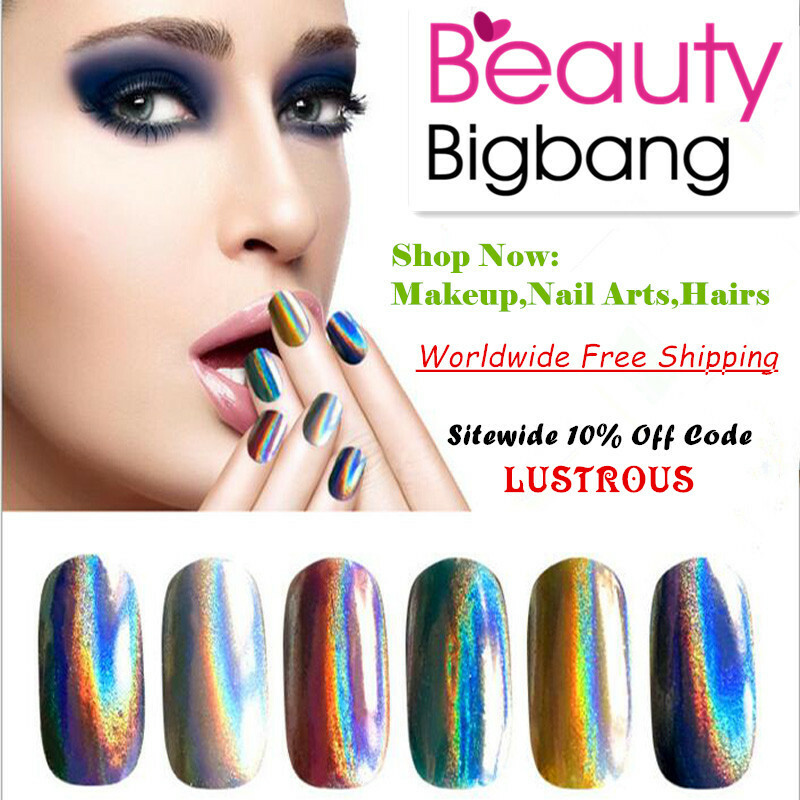 I reached for some nail vinyls and my bottle of Lumina Lacquers Soliel to create this. What do you think of the finished look? I know this post was short, sweet and to the point but I hope you enjoyed it. Thanks for stopping by and Happy Polishing!